For all of us stress is inevitable, but how much stress is too much during pregnancy? What can we do to reduce stress during pregnancy? And why is stress reduction important when you are pregnant? Can mindfulness meditation help? Pregnancy is a delicate and complex process that is influenced by stress. Large amounts of psychological stress during pregnancy can create unhealthy environments in the womb for a developing baby that can lead to lifelong harmful epigenetic changes in the child’s DNA. Minimizing stress should be on your mind during pregnancy. If anything happens that is causing you an abnormal amount of stress, it’s best to seek professional help as soon as possible to ensure the best outcome for your pregnancy. In a recent study, researchers reviewed the scientific literature regarding the connections between mindfulness meditation, stress, and pregnancy. 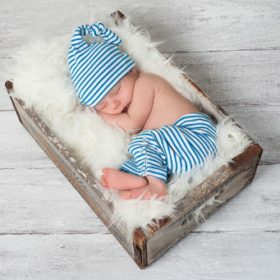 They found that mindfulness meditation is successful at reducing stress and that this reduction in stress leads to better pregnancy outcomes (1). Meditation reducing stress is not groundbreaking, but this study has paved the way for future research into effective methods of reducing stress to improve pregnancy outcomes. What Is The HPA Axis? Before diving into the science further, it’s important for you to learn a bit about the HPA axis. Understanding the HPA axis is crucial for understanding the benefits of meditation the researchers discuss in their study. The HPA axis stands for the Hypothalamic-Pituitary-Adrenal axis and is responsible for how the body responds to stress. Due to the complex nature of the HPA axis, it is best understood through a visual explanation of its function. You can find a two-minute video found below on the HPA axis. How Is The HPA Axis Related To Stress During Pregnancy? In animal studies, the science shows that high levels of stress during pregnancy produces hyperactivation of the HPA axis (2). The HPA axis regulates a highly complex set of biological functions that are shown to become hyperactive in the offspring of high-stress mothers in rat models. To quickly recap, high stress in the mother during pregnancy leads to an overactive HPA axis in the mother’s offspring. An overactive HPA axis leads to increased anxiety, depression, cognitive impairment, and altered circadian rhythms. Current research shows strong evidence that mindfulness meditation during pregnancy will positively impact the health of your child. Meditation allows your body to cope with stress more efficiently and helps prevent high-stress environments during pregnancy impacting the future functionality of a child’s HPA axis. 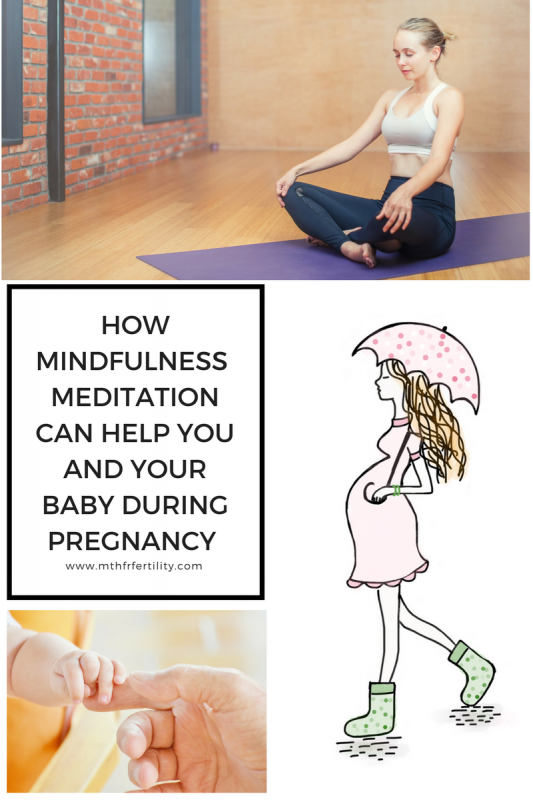 If you are pregnant or hoping to become pregnant, including a mindfulness meditation practice into your lifestyle is worth the effort for you and your baby. Both of you will be more at peace and better able to deal with stress. More research is currently underway to further establish a clear relationship between stress, mindfulness meditation, and pregnancy outcomes. What’s The Connection Between Stress, MTHFR, And Meditation? Remember, the MTHFR gene also has a relationship with stress, and that stress chews up a lot of the methyl groups that MTHFR helps create. Mindfulness meditation allows us to reduce the methyls that are wasting away through stress. The negative effects of an MTHFR mutation can be mitigated through mindfulness meditation due to an overall reduction in stress. For more on the benefits of meditation click here. Notice how you feel again. Do you feel calmer? Is your mind less active? If you noticed that your mind kept being pulled out of the present moment by a particular problem make a plan to solve that problem. If you feel like you need more guidance during your meditations, we recommend using Headspace. The company offers a wide variety of guided meditations that are accessible online, or through your smartphone. If you sign up for Headspace make sure to check out there guided meditation series (30 session pack) for pregnancy. Isgut, M., Smith, A. K., Reimann, E. S., Kucuk, O., & Ryan, J. (2017). The impact of psychological distress during pregnancy on the developing fetus: biological mechanisms and the potential benefits of mindfulness interventions. Journal of Perinatal Medicine. Darnaudery, M., & Maccari, S. (2008). Epigenetic programming of the stress response in male and female rats by prenatal restraint stress. Brain research reviews, 57(2), 571-585. This entry was posted in development, MTHFR, Pregnancy and tagged development, meditation, pregnancy, stress.